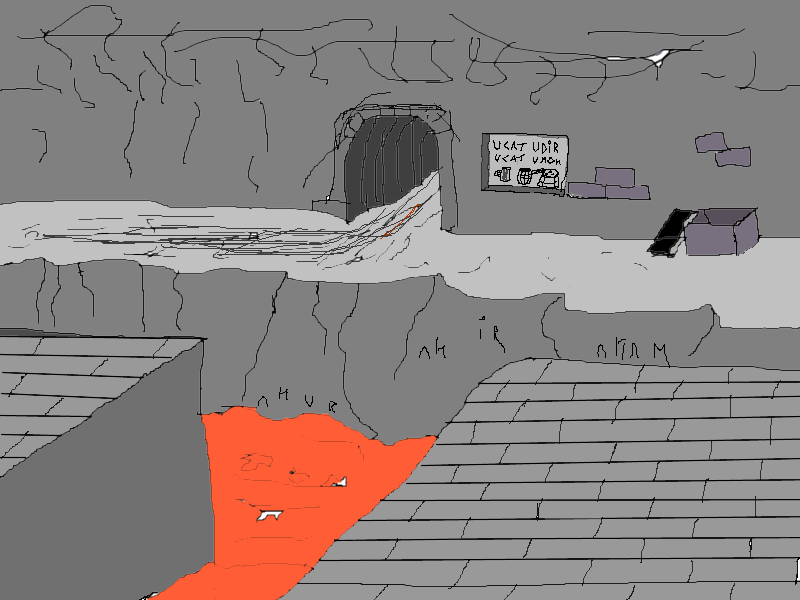 I present to you the first scene! If you want to make a suggestion, do so in green text. Punch someone in the face. Radical Freedom! Wake up. Prepare for work. 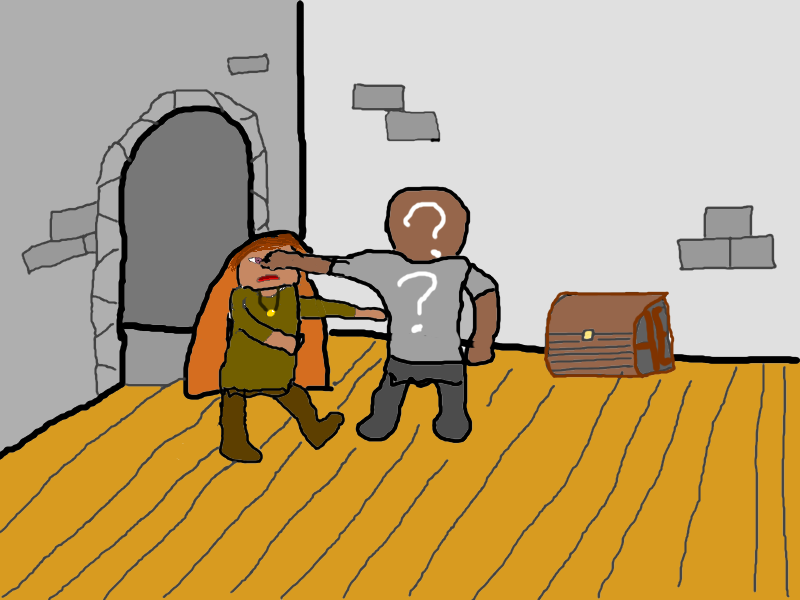 The unnamed dwarf sees a male dwarf walking down the hallway and punches him in his face as a sign of freedom. 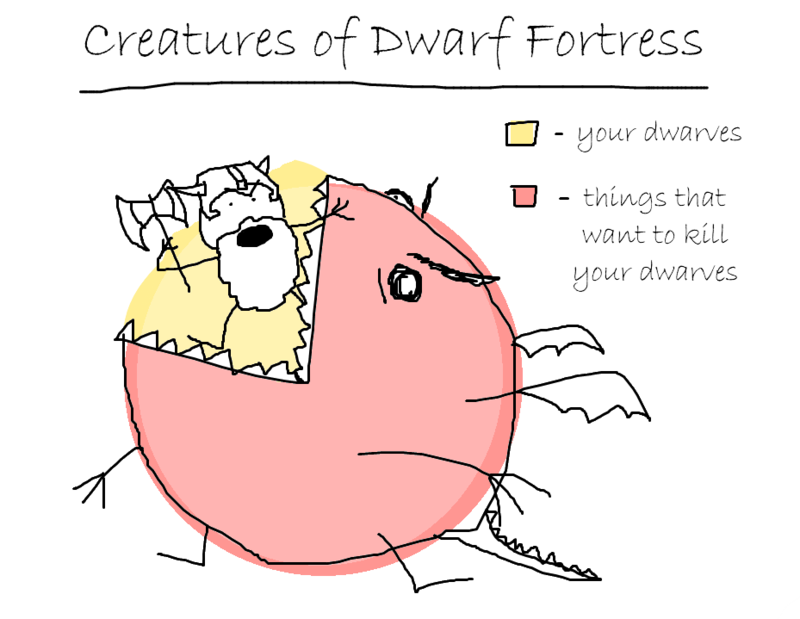 The unnamed dwarf wakes up in his rough hewn dorm and remembers that he is a peasant! He lays on his bed thinking about his past and who he actually was. Name myself Sartre, as I have the freedom to do so. 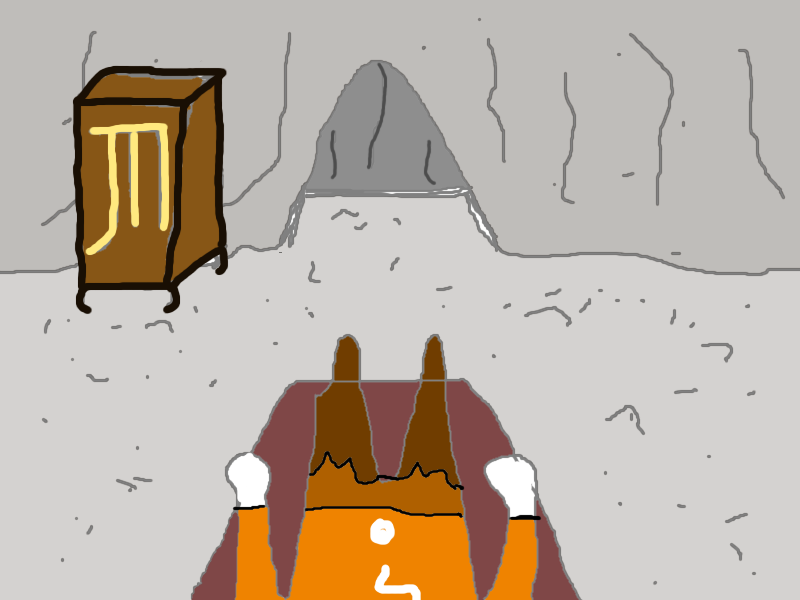 Go to eat some breakfast, and then go off to dig in the Mines. I would suggest putting this in Green. Turns out Sartre picked the wrong morning to sleep in, there's a goblin siege and he's immediately dragged out of bed and drafted into fighting.